The Beats Music streaming service will reportedly join the likes of Newsstand, Maps and Stocks as a default iOS app next year. Apple acquired Beats in May, and although they've yet to do anything meaningful with the brand just yet that will soon change, reports the Financial Times. Beats Music will be bundled with an upcoming iOS update as early as March, the site says. Apple hasn't made any official statements on its plans for Beats Music, but iTunes sales slowed this year and it's clear that the iPhone maker is plotting something. Word in October was Apple will merge Beats Music with iTunes, which already offers limited streaming music with iTunes Radio, and the FT agrees that that's likely. 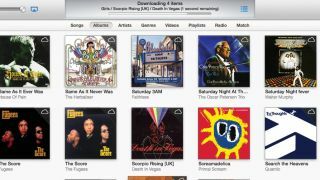 In addition Apple has reportedly been courting record labels in an effort to slash the streaming music subscription price in half to just $5 (about £3.20, AU$5.80) a month.